Levine Children’s Hospital | Half Heart. Whole Life. Hey friends! This will be a brief post, but I just wanted to let all my readers know that on Tuesday, March 21st, Nolan will be going in to Levine Children’s Hospital for a scheduled cardiac catheterization. They’ll be taking a good look at his heart function, pressures, and how well his Fontan circuit is doing. Moreover they plan to do some things to help bring up his oxygen saturations, which have been just a little on the low side post-Fontan. We’re expecting to be there overnight, which is not unusual for Nolan. We appreciate any prayers, kind thoughts, good vibes, etc. I’ll post some updates here later on but if you want quicker updates, you can definitely visit Nolan’s facebook page. After a good breakfast we were grouped up by state: there were a total of 5 of us from the great state of North Carolina. We were given a list of the legislators we were scheduled to meet with. My list had Congressman Richard Hudson, Senator Thom Tillis, and Senator Richard Burr. The good news was that several members of our group were scheduled to meet with different people and most of us had the time to go together to these meetings, so I had a total of 5 meetings that day. 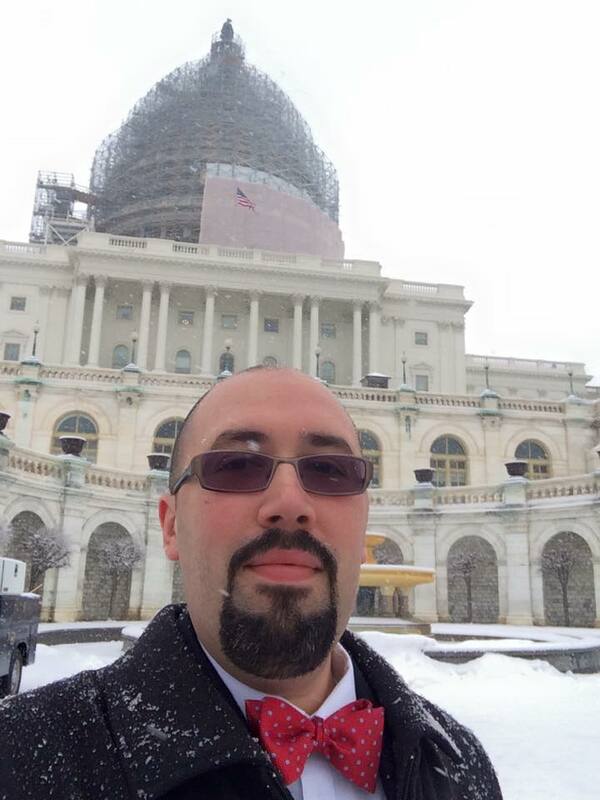 Of course, it would be an interesting day if we didn’t have some interesting weather: it was snowing in DC and Government was supposedly on a 2-hour delay (delayed government? what? ), but supposedly all of our meeting times were being kept. Luckily, it did not. Ms. Adams invited us all into her office. She listened to our stories, asked some good questions, and was really patient with us. She applauded us for coming out, in this weather, to share our story…and that it was so impactful because we’re parents and not paid lobbyists. After spending time in training hearing that we might not get more than 5 minutes total, I think we must’ve spent at least 20 minutes with Congresswoman Adams. At the end of our meeting I gave her the card with Nolan’s pictures on them and she smiled as she looked at it and said “Well hello there, Nolan. Aren’t you handsome?” It came with such a genuine kindness and I think we couldn’t have kicked off our day with a better experience, especially for us first timers. I know these legislators are busy and I expected to meet mostly with staffers (which is ok) but it was nice that Ms. Adams gave us a moment at the start of her day. 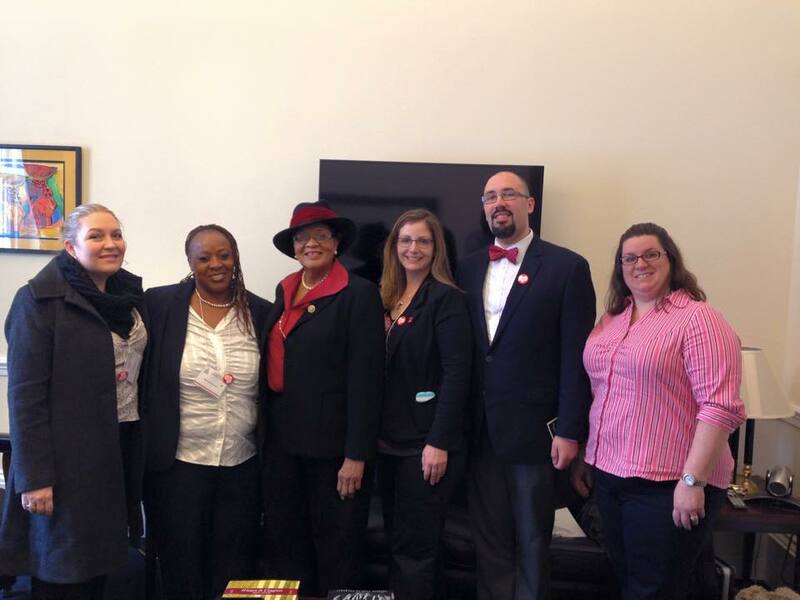 I must note that Congresswoman Adams was wearing a really cool hat…and apparently she’s well known for her hats. She even had a book on her coffee table that was all about women in church hats. So awesome. Mr. Pittenger represents the 9th District of NC and if I lived just 2 miles down the road, he would be my Congressman. I have a funny – and totally random – memory involved with Mr. Pittenger. When he was running for office, he was in one of my town’s parades (maybe 4th of July?). Hudson and I were there and happened to both be wearing Yankees shirts. As Mr. Pittenger’s car drove by, he turned to us, pointed, and said “Go Yankees!” He knows the way to my heart. Anyways, we weren’t there to talk baseball, we were there to talk bidness. We got there a little early but asked if they could see us. Mr. Pittenger wasn’t available, so we met with Michelle, his Senior Legislative Assistant. Much like we did with Ms. Adams, we shared our stories and our asks. This meeting, however, was much more business-like and direct. I’m not saying Michelle wasn’t nice, she was very nice, but I could tell it was a busy office and they had a lot going on so it was much more of a time crunch. We learned Michelle is a Charlotte native and the office was decked out with Carolina Panthers stuff. I noted to her that Greg Olsen from the team is also a CHD Dad. Gotta spread that word (go get ’em, Greg). I think it was still a successful meeting with a different feel from the first one. So far two meetings down but no one’s been like “Well shoot, sign me up!” Not that it’s a bad thing…better to think things through. 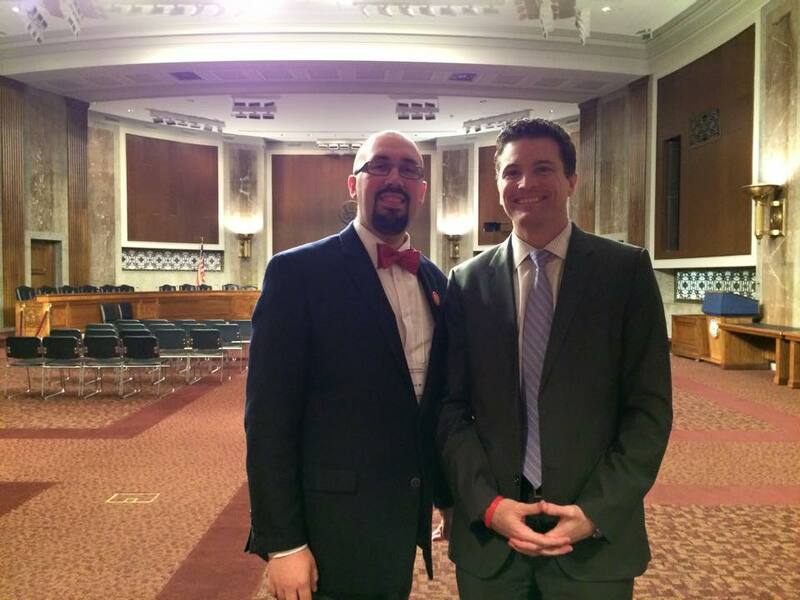 We had some time to kill before the next meeting so we made our way closer to the Senators’ offices and hung out in the cafeteria (no pics allowed in the cafeteria, apparently!). Outside the building we met a guard whose name tag simply said “Big Dooky”…part of me was REALLY curious how he got that name…the other part of me didn’t wanna know. On the way to the cafeteria we passed a gift shop, complete with a call of political power ties (hilarious), a sign for a hair salon, a buffet, and…mmm..a coffee shop. But alas, I did not stop for coffee. It was a good chance to stop for a breather and a drink of water. We’d been on the go since very early that morning so a chill out break was in order. After awhile we set out for our next visit. Senator Tillis is our newly-elected Senator so his staff was in a small, temporary office. Upon entering I noticed two things: one of his staffers had a GINORMOUS Apple monitor (this thing was insane) and there was also a small conference room that had a big taxidermied possum hanging from a branch on the wall. Randomest thing ever, and I’m glad we didn’t meet in there since it would’ve distracted me to no end. Anyhow, our schedule indicated that Senator Tillis might join us for this meeting but that we were scheduled to meet with one of his assistants named Joe Nolan. I mean come on…can’t get a better name than that. In fact when I told my story he was like “Man that’s a perfect name!” Anyways, Joe was very friendly and down-to-earth, I think we all felt really comfortable chatting with him. And even though I’m sure – like everyone else – he was very busy, he actually made quite a bit of time to speak with us. He listened to our stories and showed some real compassion for us and our kids. You could really tell our stories impacted him. He definitely wanted to pass along our stories and try to schedule some time at a later date for us to interact with a fellow staffer who dealt with healthcare matters. This dude was really awesome, I think we all enjoyed our time with him. 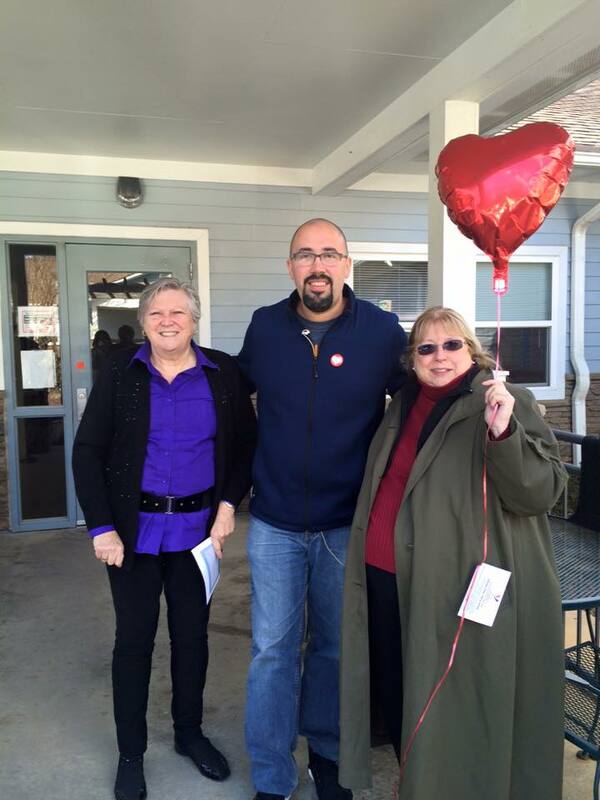 Kind, compassionate…the world needs more Joe Nolans! Now it was time for our group to split up since there were two meetings scheduled for the same time. 3 members of the group went to meet with Congresswoman Virginia Foxx and I went with another group member to see Congressman Richard Hudson. So back to the Cannon building we went. I was a little nervous about this meeting since we had a very experienced group member leading the way but now it was two newbies on the case. I wanted to be sure to have an impact and not screw everything up. On the way out, we saw Congressman Hudson in the hallway. He was obviously really busy but took the time to say hello and asked me a couple quick questions about CHDs. I gave him a quick 30-second rundown and told him the ever-so-awesome Curtis had all the info for him. He took a photo with us using the office’s camera, so hopefully I can get a copy of that soon. As soon as I do, I will post it. Before I let the Congressman leave, though, I told him a story about when he first ran for office 2 years ago. My oldest son, Hudson, would see signs everywhere that said “Hudson Congress” and he was excited to see his name everywhere. So for kicks we got a sign for him and took a picture of him with it. Fast forward two years and I’m showing the actual Congressman Hudson that sign. He got a kick out of it. He asked if Hudson still had the sign and I said yes, and he said “Wait here a minute.” And then he went to his office and came back with a Hudson Congress hat for me to give to my Hudson. Dude…AWESOME. I was floating on air after that visit…I felt like I really made a difference and I really believe Curtis understood our message since CHDs are very close to his heart via his friend. 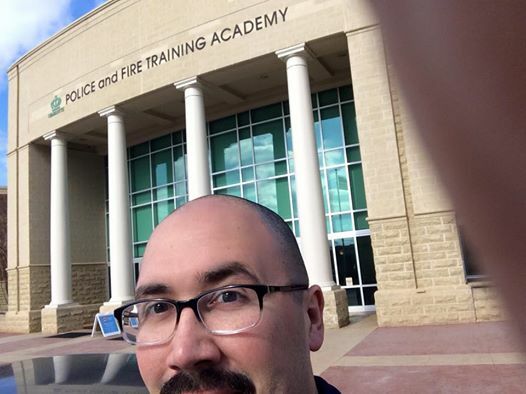 I have already reached out to him in the hopes we can continue the conversation and maybe even schedule a follow-up meeting whenever Congressman Hudson is in his local office. Believe it or not, though, there was one meeting left! Senator Burr has been in his role since 2005 and had a very fast-paced and busy office. 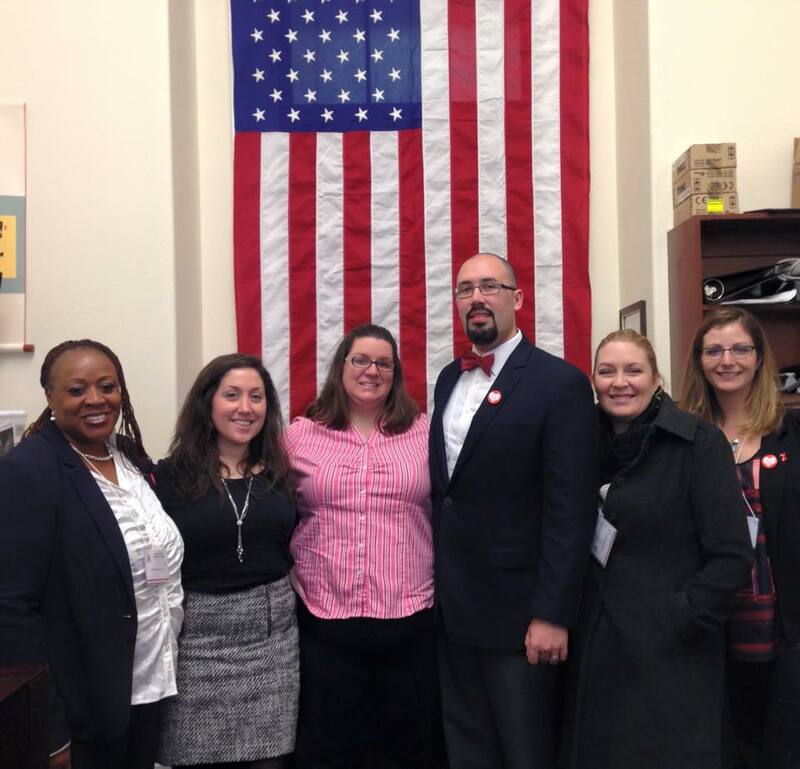 We met with Anna, one of his staffers whose specialty is healthcare policy. We all told our stories and shared our big asks. Anna spoke a lot about the future of healthcare and policy and what Senator Burr typically does and doesn’t do. All in all, she was extremely knowledgeable and welcoming. Much like the meeting with Mr. Pittenger’s office, though, this one was very much businesslike (again, that’s not bad) and to the point. We didn’t even get a photo op, but that’s ok too. To be honest, it was hard to top the wave of my previous meeting with Mr. Hudson. And when I thought about it, I was suddenly really tired. It was about 2:30pm and I was hungry and wiped out. It had been a whirlwind day. After lunch I went back to the hotel to retrieve my bags, get some much-needed coffee, plug in my phone and fill out some reports on our meetings. 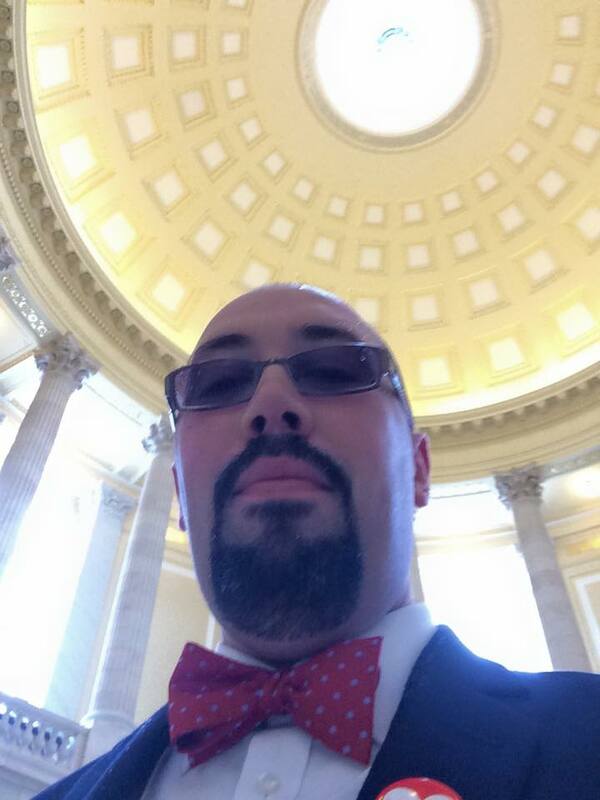 I had a blast talking with some other people who had some really positive meetings. In all, I felt like we had a really successful day and were able to make a really big impact. There were about 130 total advocates this trip and every voice mattered…with follow up and getting people involved, we can really continue to make a difference. While everyone was going to gather up to share more experiences at 6, I needed to leave by 5 to get to the airport for my flight home. I said my goodbyes, took the metro to the airport and eventually made it home by 9:30pm. It was a great, whirlwind adventure and while I was exhausted, I was so glad I went. What a fantastic experience! Don’t forget your local government: Mayors, Governors, Representatives, etc. Go get ’em! Reach out to them and try to set up a meeting. Let them know why it’s important for them to know about Congenital Heart Defects and their impact on our kids and families. If you have a fantastic hospital in your area, encourage them to go visit and support that program. Share your story! Write a blog, join an advisory council at your local hospital, be a part of a CHD support group. Learn more. 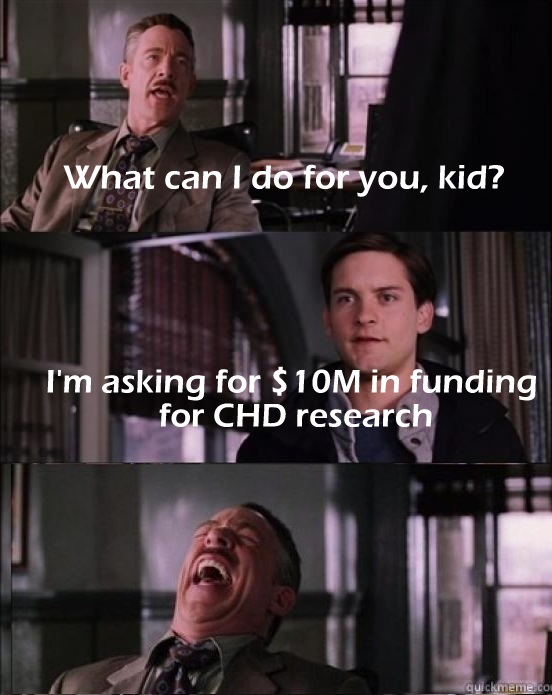 Look up CHD research, ask your child’s cardiologist about any important issues or studies related to CHDs. You can still reach out to your legislators in Washington. Every one of them is on twitter and has their own website where you can send them an email. I promise you, someone will read it. Remember that each voice is crucial to the chorus. You may feel like your one voice doesn’t matter but that’s not true. You are fighting for your son or daughter…NO ONE will deny you that and no one can deny the power of a parent who is fighting for their child, especially in the face of something deadly like CHDs. Never…Ever…Give up. This is a marathon and I do believe we will make a difference: day by day, little by little. I have to say, Nolan really enjoys heart month…he enjoys February so much that he decides to visit his friends at Levine Children’s Hospital with a visit to the E.R. Happened last year due to low O2 sats caused by ear infections…on Sunday he decided to make it two years in a row. Let’s back up a little bit: the crud has been going through our house Old Testament plague-style…you know how it is when you have young kids. One gets sick and then it’s like mass pandemic in your own home. 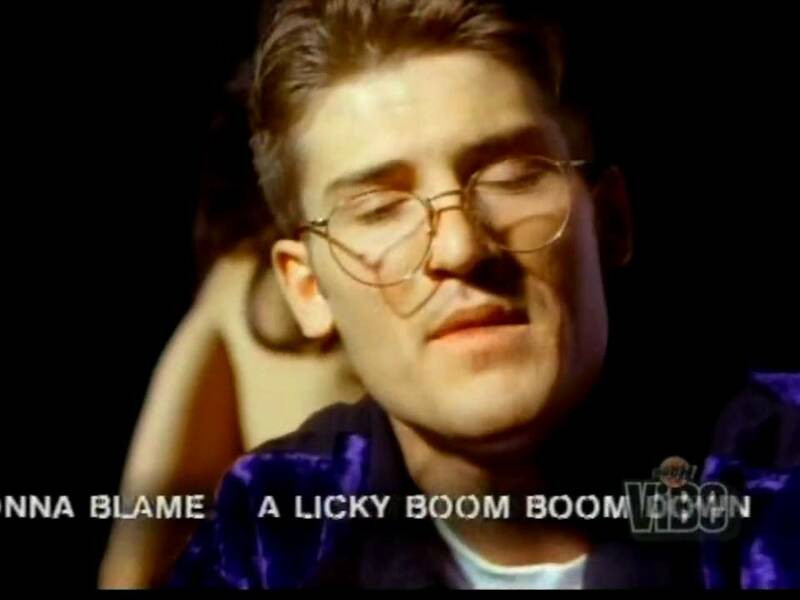 Our oldest had a bout of strep throat a few weeks ago and then eventually I caught one of those gross, phlegmy colds (which I seem to now get like every 4 weeks or so). 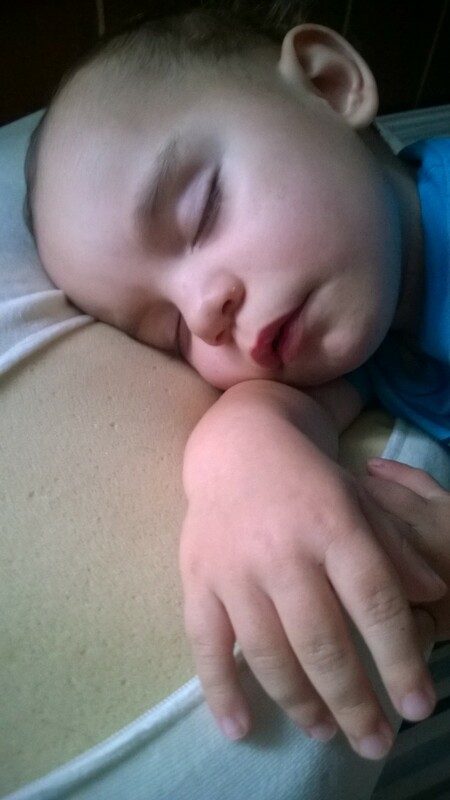 We tried REALLY hard to keep Nolan from getting sick, so it was lots of hand washing and hand sanitizer and things seemed to be going ok. Well the other night I was doing a late feed on Nolan and he started coughing…except it was this weird cough…like a seal. Yes, like “hork hork hork” kinda seal. It gave me some pause and I stood there in his room keeping an eye on him, but it didn’t seem to bother him too much and when he was awake, he was his usual self, no coughing. So on Saturday, for Valentine’s Day we had some friends over the house and it was a great night…we had a blast and Nolan enjoyed himself and then went to bed easily. At 5am Sunday morning I awoke to his aquarium-style seal show, except this time it lasted a lot longer and he was sounding very agitated. I picked him up and took him into the bathroom to check for the tell-tale respiratory issues (blue nail beds, feet, lips, etc), but alas everything looked fine. But he was breathing a little fast and wouldn’t calm down or stop coughing. At this point my wife was up too and trying to help calm him down while we hooked him up to his O2 sat monitor. It showed a pretty high heart rate and sats in the low to mid 70’s, which is below his typical mid-80’s. Our local hospital system has a handy phone app where you can check operating hours and wait times, and I checked to see if the Pediatric Urgent Care nearby was open, but it wasn’t slated to open until 10am. So we had a choice to make: do we wait it out until 10? Do we take him to the regular 24-hour urgent care or local ER (where we’d get the “What the heck is HLHS?” question)? Or do we just take him to Levine Children’s Hospital’s ER? We decided on the latter, so I got changed and put his car seat in my car. When I got back inside, Nolan was dressed and wearing his coat and hat…and go figure…Nolan was happy as could be. Little stinker! Bill, Nolan’s RN for the morning, came in to get Nolan situated and comfortable: he was really friendly and attentive and kept us updated on everything. Eventually three physicians came in to see him over the course of probably the next 30 minutes. They were all really awesome: the first physician said it sounded like he had croup, but that since she couldn’t hear him cough she wasn’t 100% sure. Luckily I told her I had a video of Nolan coughing so she waited patiently while I pried my phone away from Nolan and played the video…immediately she knew it was croup. She said another doctor would come in just to be sure. The next doctor was named Dr. Magill and she was incredible: you could tell she took the time to review Nolan’s medical record. 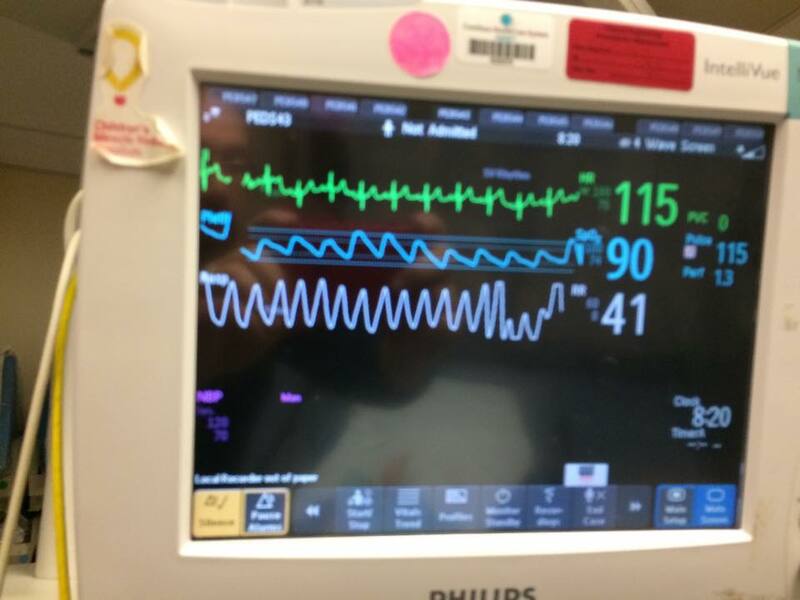 She knew his physician, knew his ideal O2 sat levels, and knew about his previous ER visits. We discussed, in particular, his visit 2 Novembers ago when he had some fluid on the lungs. I told her that this bout of illness was way different from that and he was nowhere near that level of sick. She listened patiently to me and definitely took into account my thoughts on it (Which I really appreciated) and said she just asked because she was trying to determine whether or not to get Nolan a chest x-ray just in case. She felt, though, that it would be best not to agitate him and passed on the x-ray. While Nolan didn’t acknowledge it or realize it, I KNOW he appreciated that too! She was really sweet and attentive to Nolan as she checked him out, even letting him play with this light-up bird she had on her stethoscope. Dr. Magill then explained what croup was (a viral condition that causes inflammation of the upper airways) and ordered some tylenol for a little bit of fever and a steroid to help relax some inflammation and help with the cough. The third doctor came in and was just as sweet. She explained that the steroid was long-acting and he would only need one dose: by the time it wore off he would be past the worst of things anyway. She recommended a vaporizer if we had one but otherwise was ready to discharge us due to Nolan’s really good vitals. I mean just LOOK at those sats! As we packed up to head back home, Bill returned and helped me get Nolan situation. 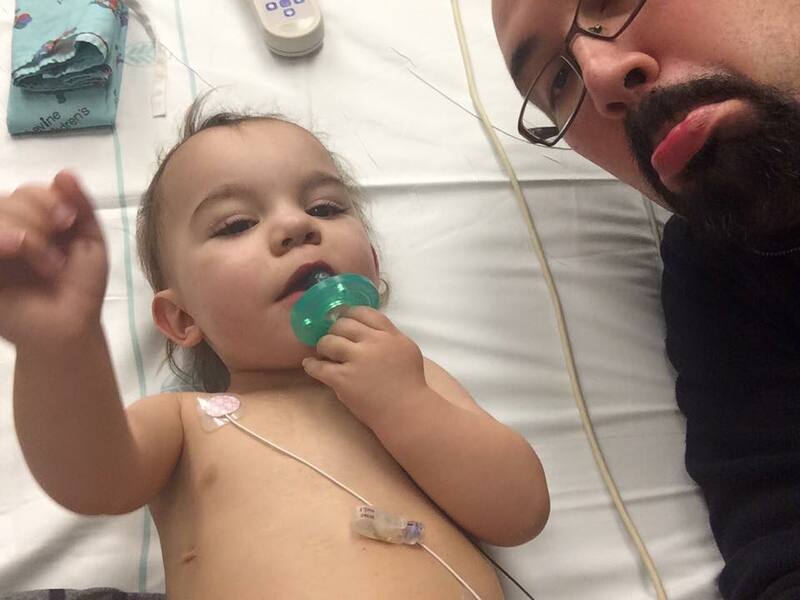 He reviewed more info about croup with me and some more discharge instructions. The Charge Nurse also came with some stickers for Nolan and his brothers. As we walked out of there together, Nolan was in a happy mood and so was I. It was nice not to be admitted for something this time around, and we managed to get home just before 9am. I say this all the time and can’t say it enough: Levine Children’s Hospital is the cream of the crop…but this visit to their ER was just exceptional. It seemed like everyone there made it an absolute priority to make us comfortable and to make sure Nolan was enjoying his short stay. I know that waking up at 5am and making a trip to the ER was not an ideal way to spend my Sunday morning, but it was beyond what I could imagine. Nolan is doing quite well now: the meds helped a great deal and the vaporizer is helping too…we couldn’t have done it without that awesome LCH staff! Thanks guys! 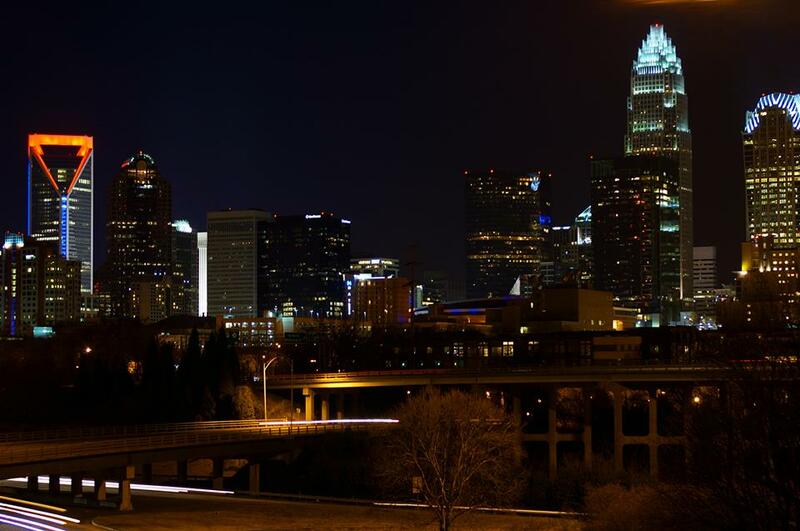 Let’s Hear it for Charlotte! 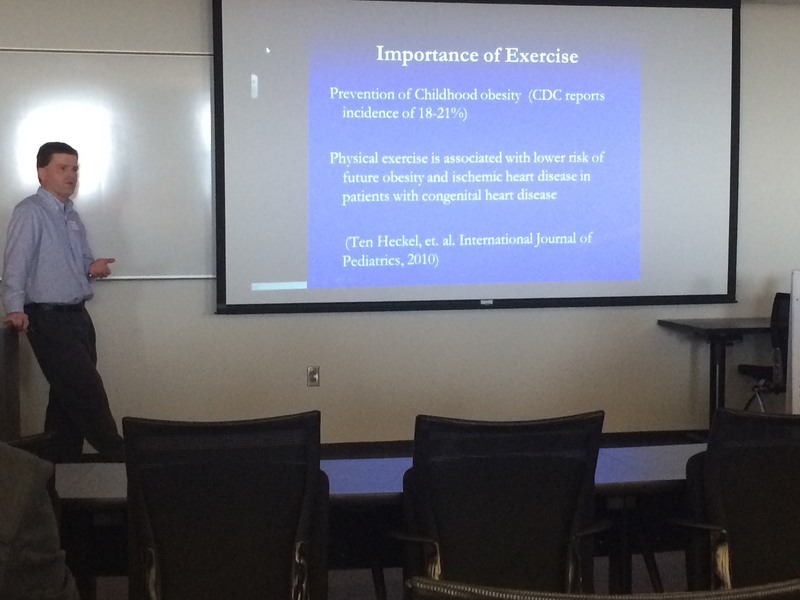 It was really great how he broke down the suggested types of competitive sports for each kind of CHD. I’m hoping to flesh out a blog post for another time based upon his presentation, so look out for that! I found it absolutely fascinating and I’m looking forward to seeing what strides we can make towards heart repair! 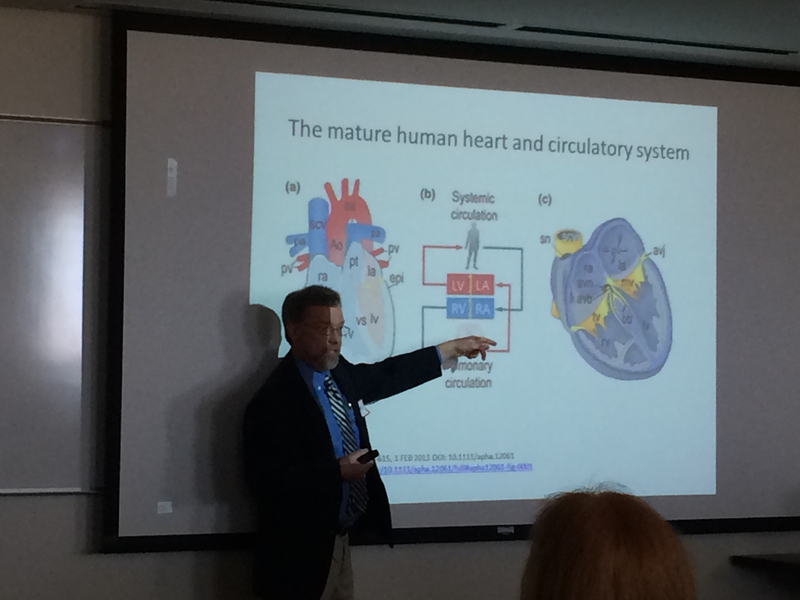 Kudos also go out to Dr. Klingensmith for staying and sitting through my wacky, meme-filled presentation! This year’s conference also featured a trio of teens on the Heart Kid Panel who talked about their experiences and live with their respective CHDs. This was really inspiring and I applaud these heroes for stepping up to share their stories…for a father of a very young heart kid, it’s REALLY encouraging to see teens who have made it through their surgeries and are doing SO well. Trust me, it’s such a good feeling to know success for our kids is out there, it’s attainable! Anyhow, it’s really awesome that such a conference exists in Charlotte. I remember attending my first one last year (which was interrupted by Nolan’s admission to the hospital for low o2 sats…because that’s Nolan!) 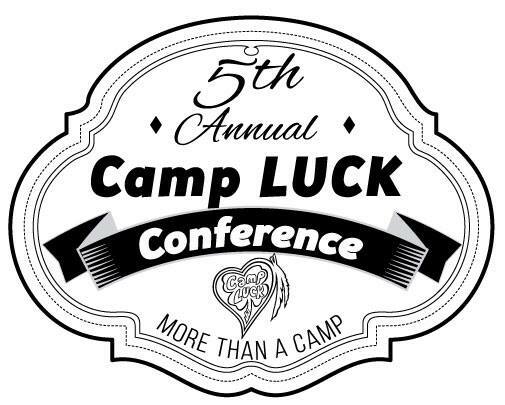 and this year’s group was WAY bigger, so kudos to everyone from Camp Luck who played a part in putting this together. I hope this Conference continues on for 50 years and beyond, because it’s a great way for heart families in the area to learn and support one another. I’m already looking forward to next year’s conference! If you read this blog for, like, more than 5 minutes you know this is where Nolan’s had his surgeries and you know how I feel about this hospital. The. BEST. 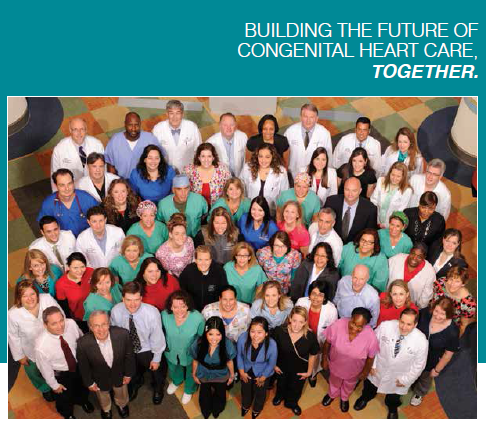 An amazing group of surgeons, nurses, physicians, etc., working together to get CHD kids to survive AND thrive. I can’t say enough how fortunate I am to live here and have access to such a great facility. And to think, this hospital hasn’t been around all that long…so the way I see it, they’re just gettin’ started! I can imagine (and hope for) a future where CHDs don’t exist or total heart repairs are an easy reality, and these things will be lead by the wonderful people at Levine Children’s Hospital! Guys….seriously. Who doesn’t like cookies? Amirite? 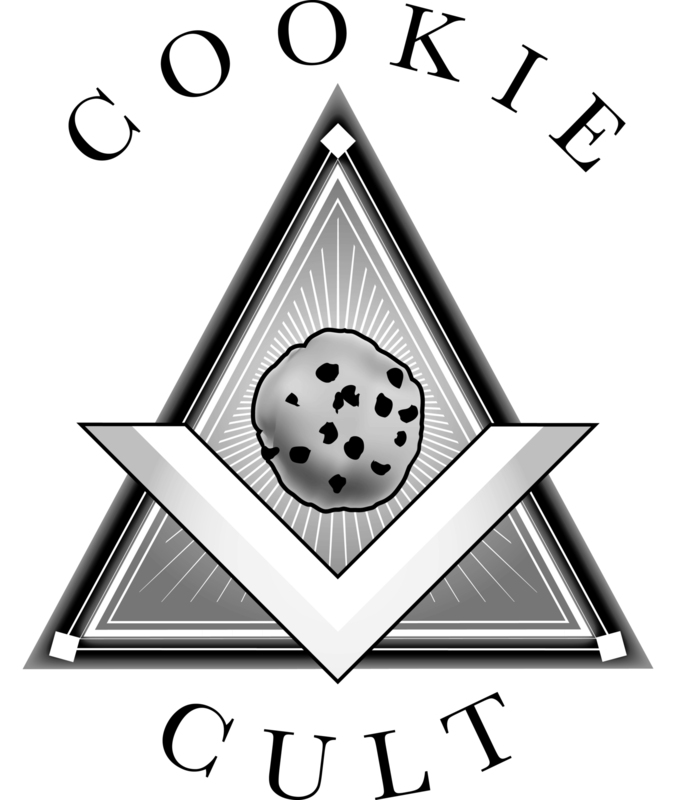 If you want the BEST cookies, they’re right here in Charlotte, courtesy of The Cookie Cult (http://www.thecookiecult.com/). This is a wonderful business started by a local heart mom and the product is beyond addicting. If you eat one, you’ll want to eat 41, I’m not lying. Do yourself, and your taste buds a favor: put down those dusty Chips Ahoy, tell the Saulsalitos “see ya later”…this is the cookie you want. I big shout out to Wells Fargo’s Duke Energy Center for doing this…I can’t look at this picture and not feel proud that I live here. The city looks gorgeous! 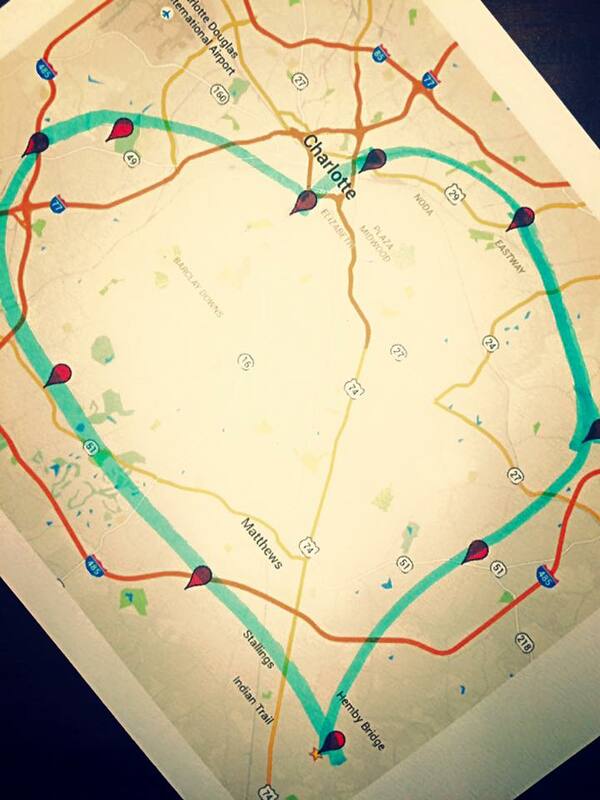 Charlotte, NC, I love that you love our heart warriors! 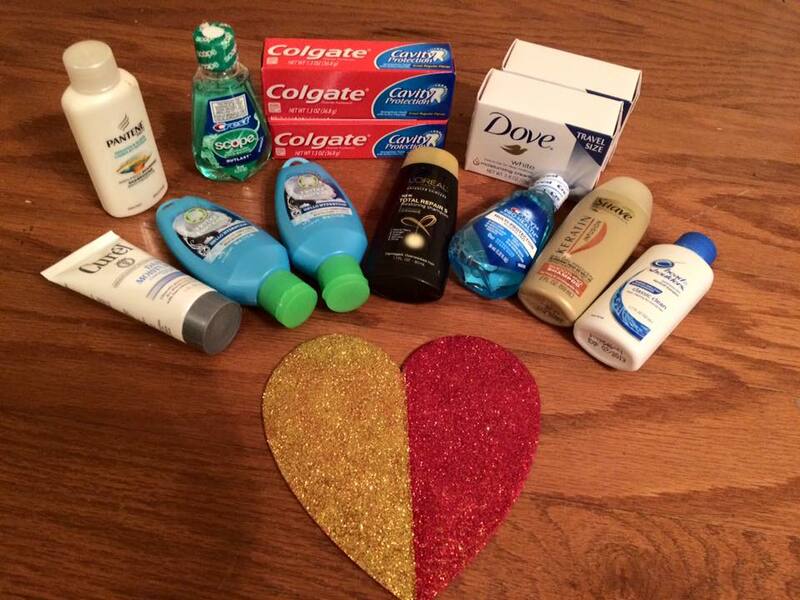 What’s the HLHS Dad Up to for Heart Month? 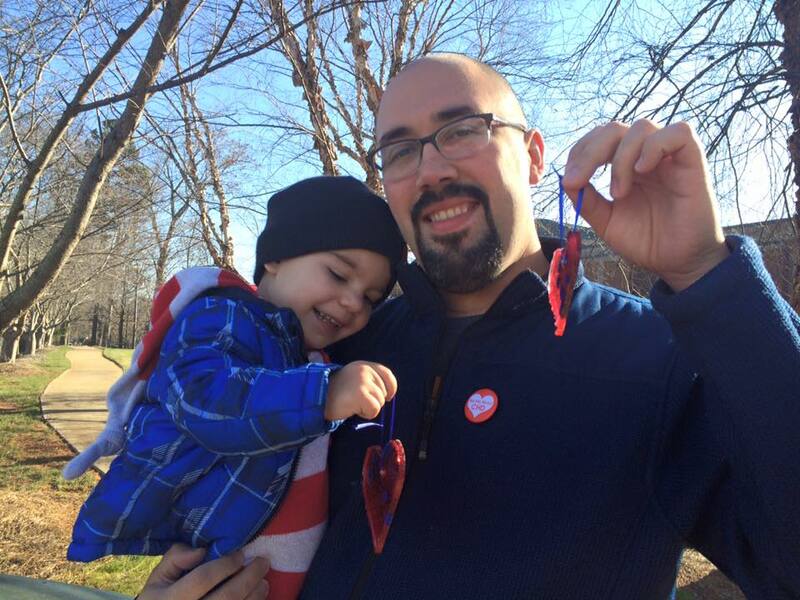 So part of the reason I started this blog was to connect with other heart dads (and moms too) and to hopefully play a role in making a better world for Nolan and his fellow heart warriors. I’ve been blessed with the chance to talk to many people about this, including fellow heart parents, medical professionals, the media, etc. 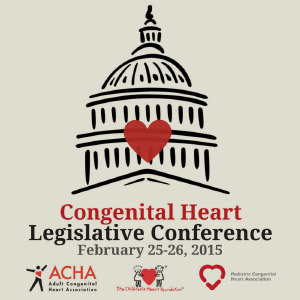 This time I get to take Nolan’s story to the next level: on February 25-26 I have the amazing opportunity to participate in the Congenital Heart Legislative Conference in Washington DC! 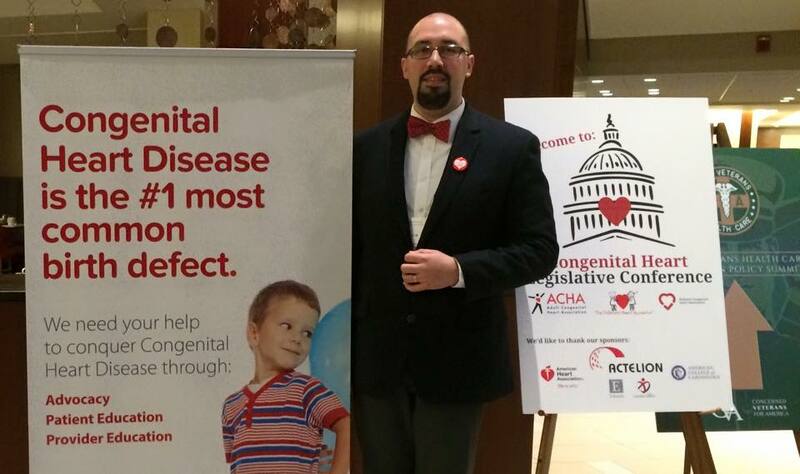 Thanks to an generous opportunity from the Pediatric Congenital Heart Association I will join up with other heart families to advocate for more CHD research and funding on Capitol Hill. I will get the chance to share a small portion of Nolan’s journey with my member of Congress and hope to inspire some change. 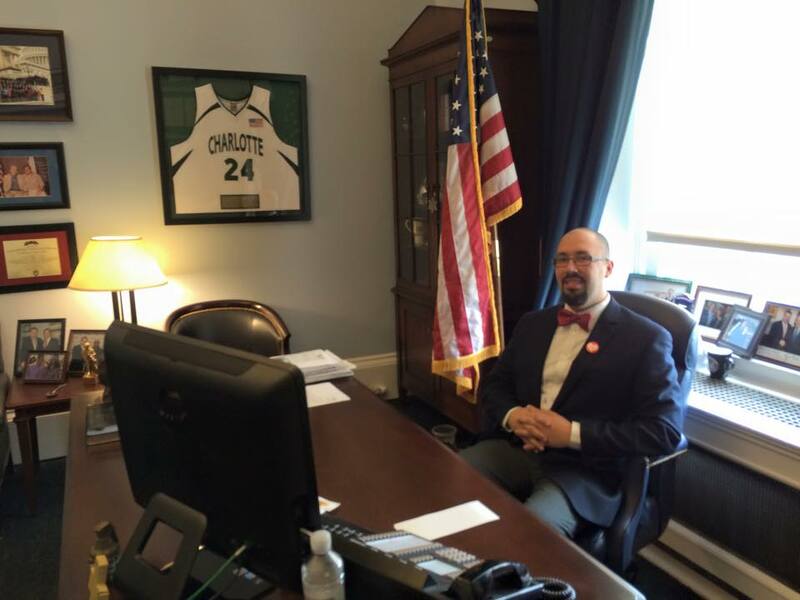 It is going to be a whirlwind 2 days but man I am SO excited….I plan to pack my red bow tie and my blue shoes to represent CHD Awareness colors on Capitol Hill and make sure everyone who will listen hears about our heart warriors! 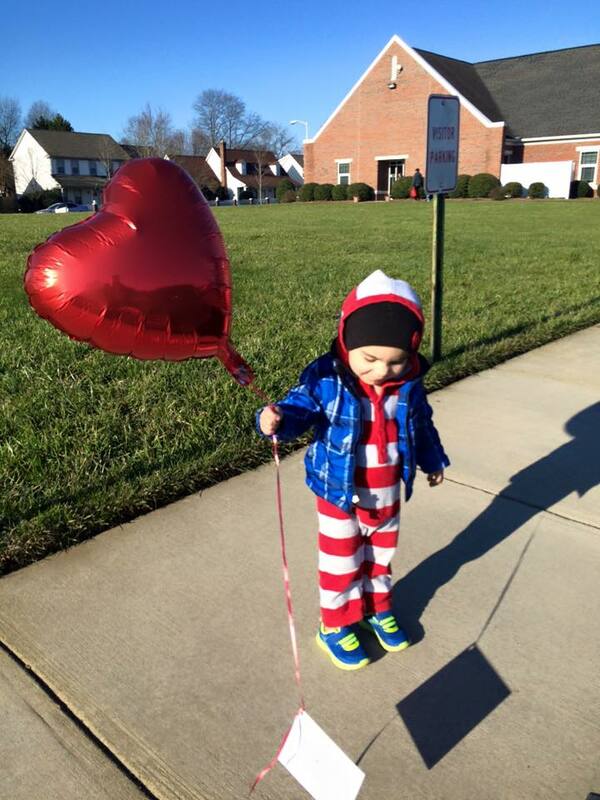 I’d love to know what my readers are doing for CHD Awareness Week and Heart Month: please share in the comments! We’re coming up on Thanksgiving and I like to use this time to reflect on the things I’m thankful for. I’m trying really hard not to re-write the last Thanksgiving post I did. So what I’ve decided to do is break up the things I’m thankful for into a series of posts (as of this writing, I haven’t decided how many). Today I want to express for an important place in our lives: Levine Children’s Hospital. I often joke with people that LCH is our home away from home, at least it was during Nolan’s first year of life, between 2 surgeries and the occasional admission. Lately I’ve been reflecting a lot on LCH and how much it’s meant to us. If you ever go there, it’s actually a pretty cool place: it’s bright, cheery and colorful with chairs in the lobby that look like bacon and lots of fun art throughout the building. The staff is friendly and there’s even a radio station in the lobby where lots of well-known recording artists come to visit. It’s a cool place, even though no one really wants to be there as a patient/family member. We had so many staff members there who treated us and Nolan was so much dignity and kindness. I will never forget nurses going above and beyond to ensure Nolan was so well cared-for: not just medically, but as a human being. They would give us meal tickets daily to make sure we could get something to eat, they would stamp our parking passes so we didn’t have to pay for parking, the doctors would include us in daily rounds. They answered my phone calls and my questions, whenever they were asked. They held conversations when appropriate, and turned down the lights and let me sit quietly with Nolan on those evenings when I was just plain exhausted. It is a special place and I can’t speak more highly about Levine Children’s Hospital. Yeah it was funny and a lot of the LCH staff were really tripped out by the Peeler look-alike. It was fun, and I participated in the event for the kids and their families. 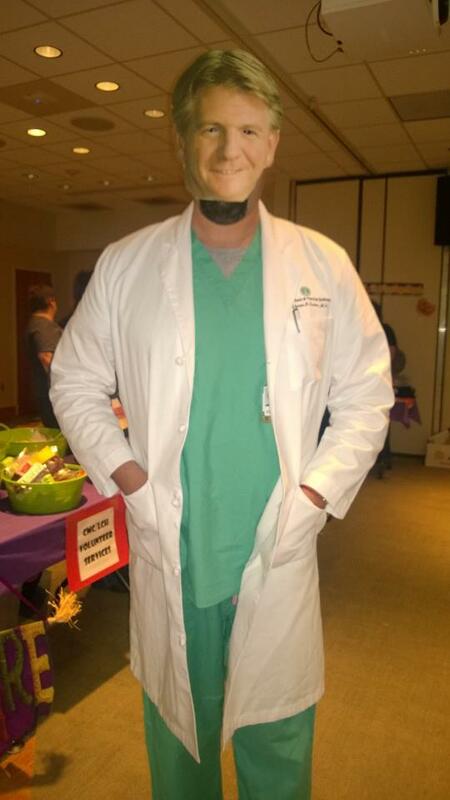 The costume was a silly way for me to thank Dr. Peeler for everything he does for heart kids and our Nolan in particular. We are so dependent on his skills. Again, thank you Dr. Peeler! We’ve been really blessed to have seen Nolan making some really wonderful strides during the 2nd half of this year: walking, eating more by mouth, being more vocal, even starting preschool one day a week. These are some major steps he’s taken to becoming all Nolan can be. When I lay Nolan down to sleep at night, I always try to take a moment to just watch him and take a moment to admire how far he’s come. I just want to use this post to say thank you to the staff of Levine Children’s Hospital…keep on being the best. Because every night I get to lay Nolan down for bed means one more day I got to spend with my wonderful son. And we get that time with Nolan because of your work. I know sometimes you get really tired and stressed and it can be emotionally taxing…but from the bottom of my heart I appreciate your work to give my son his life and to give us an opportunity to see him thrive. That means so much to me and if I could I would walk the whole building to personally thank everyone who has worked with us for their smiles, empathy, professionalism…heck, even for the chocolate milk in the nourishment rooms (SO good). Every moment we make with our son is because of the hard work the LCH staff put into him. 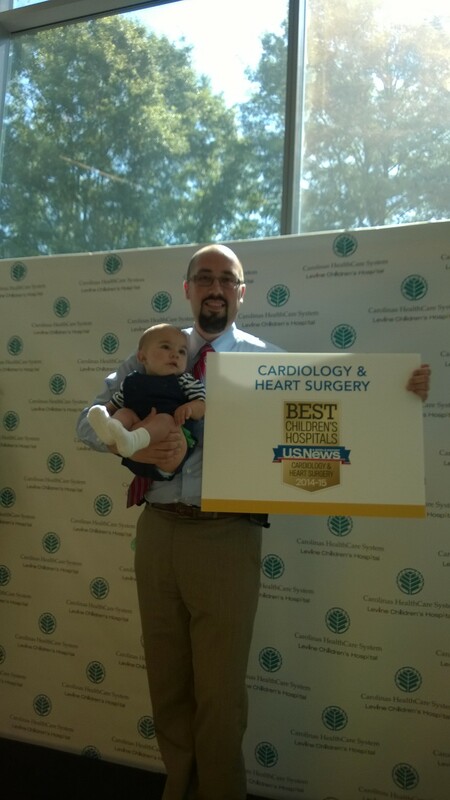 Yes, LCH was ranked as one of the best Children’s Hospitals by US News & World Report in 5 specialities, which includes Cardiology! Yeeeeeaaaaah buddy! Last week we were invited to the announcement of the rankings at Levine Children’s Hospital, which is always an honor when they choose to think of us and include us in celebrations like this. It was great to see heart families we know, and even to meet new heart families. I know that no one wants to have their child in a Children’s Hospital…it’s a really tough thing to go through…but Levine Children’s Hospital is the cream of the crop and we’re fortunate that they’re right in our back yard. There was a point during my lengthy unemployment where we briefly entertained the idea of moving if we found good job prospects, but it never happened and we stayed put. If we were to move away and THEN found out we’d have a child with HLHS, I’d dread to think that options would be available wherever we moved. There are lots of great Children’s Hospitals throughout the US, and thank God for that, but I’m glad we have an excellent one right here. They treat us like family and it’s a special feeling to know you’re not just a number. And – my goodness – their lobby has chairs shaped like bacon. LIKE…BACON. Win! I’m proud to say my child received awesome care at Levine Children’s Hospital, and I’m confident telling people that it’s an awesome place to be should your child need care. So keep up the good work, LCH! We’re proud of you! For those of you who don’t know, I’m a HUGE fan of the New York Yankees. 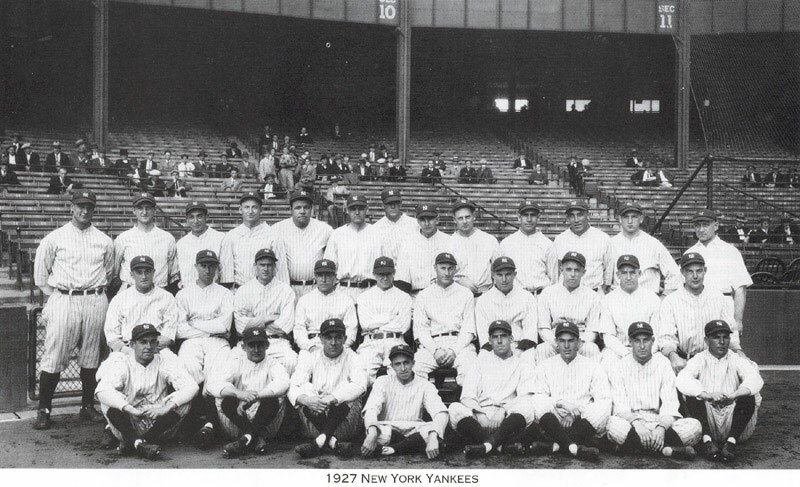 I like to joke that “We only cheer for one team in our house.” The photo above is of the 1927 New York Yankees, often noted as the greatest team ever in the history of baseball. Why? They had a lineup delightfully called “Murderer’s Row”…they were an offensive juggernaut, headlined by a #3 hitter you may have heard of named Babe Ruth. Oh, and if you wanted to simply walk the Babe, the next hitter was Lou Gehrig. Yeah, you were pretty much screwed if you were an opposing pitcher. In my era, the 1998 Yankees were an absolute beast. They were a lot different than the ’27 team, though. They didn’t have a similar offensive force…they wore you down as a team full of patient hitters and great pitching. They won 116 games and pretty much dismantled everyone during the season, playoffs included. So just before you start rolling your eyes thinking this is all about the Yankees, it’s not…I want to talk about another epic team that is like none other: my son’s heart team. 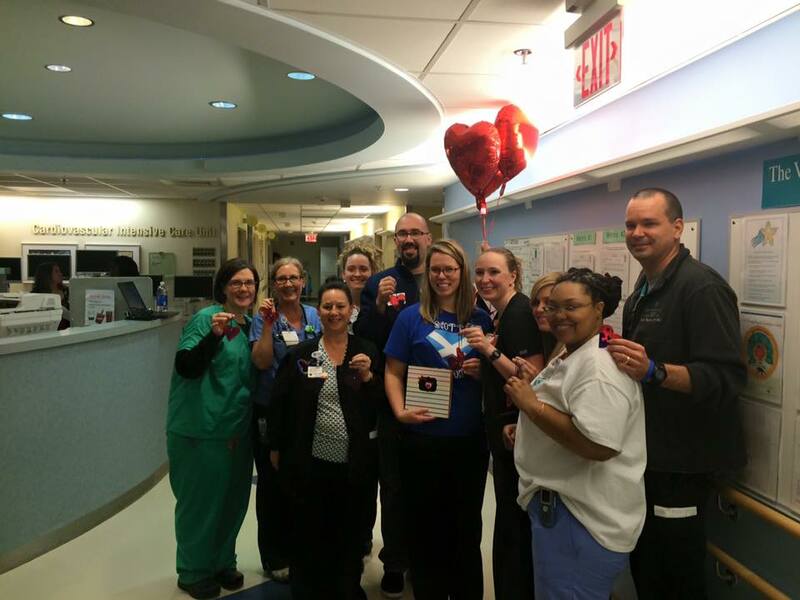 The Pediatric Heart Care team through Sanger Heart & Vascular and Levine Children’s Hospital is the BEST. Period. These folks work really hard to make sure that your child has the best care and that you feel informed and valued as a parent, and that’s pretty special. When you come in for appointments, you’re always welcomed warmly. When you have to see a cardiologist, any of them will be patient and informative. When your child is hospitalized, they go out of their way to be helpful and look out for the best interests of your child. Yes, I do wanna brag…Nolan’s team is the best around. Want numbers? In 2011, they performed 302 surgeries with a mortality rate of 2.4%, better than the national average of 3.2%. Better recognize. They’re a great team and they work so well together, and it’s all for the benefit of the little ones who are under their care. I trust them and wouldn’t want any other team. I could put a post daily on this blog thanking this team for all they’ve done for Nolan, and it would be enough, and it wouldn’t even come close to being enough to showing how awesome they are. So I want to thank you, Heart Team, for being who you are, for valuing our voice as parents, and for sharing in our excitement when our kids do well. Trust me, it means a lot to see you all involved in different events, because it shows that your care extends far beyond the hospital or doctor’s office. Having a CHD baby is like being in a club that no one necessarily wants to be in, but I’m thankful to have you all on our side. I’m proud to cheer you on as you cheer on my son. I don’t know where we’d be without you. For the past few weeks my wife and I have been doing these free youtube workouts from Fitness Blender. They’re pretty awesome and you should check them out. Anyhow, at the end of every nearly barf-inducing workout it will say “WORKOUT COMPLETE” on the screen and it feels like you made it. Then you want to eat a whole pizza. I’m just kidding. Anyhow, it feels good to accomplish something, whether it’s a workout, assignment, or a big project. 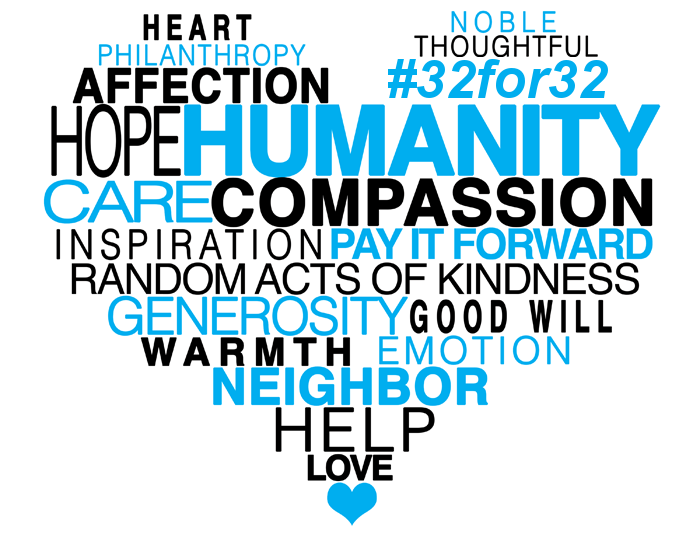 In my last post I wrote about my 32for32 Project: I was going to do 32 acts of kindness for my 32nd birthday in order to educate people about Congenital Heart Defects. Well I did it! PROJECT COMPLETE! I worked pretty hard to plan out this project, choosing where I would go and when, and I did a lot of early legwork to download wish lists and contact the people I needed to contact. I did a really awesome interview with the Union County Weekly, who posted a wonderful article on their front page, and I even did a quick radio interview with New Life 91.9. As we got closer to the 14th, the day the project was to start, I ran into some problems…SNOW. 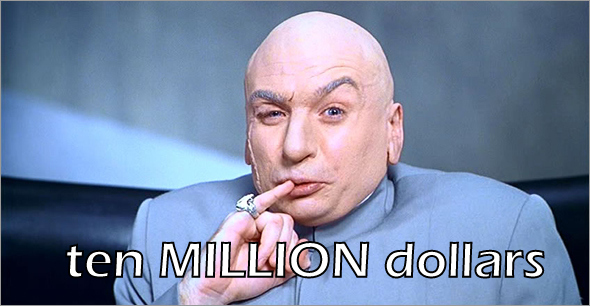 So the Charlotte area decided to have the most snow in a decade. A whopping 8 inches. Now where I’m from in Connecticut, that’s child’s play…but here? Freakin’ APOCALYPSE. There’s no snow plows and everyone just gets stuck at home. Well of course, the snow was still on the ground on Thursday, so I got several messages from my 32for32 stops that they would be closed on Friday. Great. I ended up having to be really creative with changing my schedule around to accommodate everything or even add new things. In the end it all worked out. WOW. I was really humbled by the experience. I met some great people, I hopefully made an impact, and I got to share the news about Congenital Heart Defects! I have to say that some of the acts of kindness stood out to me. First was the Union County Community Shelter: I’ve volunteered there before, but this time I noticed 4 or 5 little children there…around 4 or 5 years old or so. It was sad. I have to say my family is blessed…we don’t have a lot, but we have food and a roof over our heads, thank God. The second, of course, is getting to visit the CVICU staff at Levine Children’s Hospital. They’re like our 2nd family and we love them to death! I never read to a classroom of kids before, and I was a little nervous about reading to kindergarteners. Oh man, they were awesome. We read a funny book and they were so well-behaved and polite. I loved it and I can’t wait to do it again! As I get pictures from the project, I will work on posting them here with some more stories from my experience. I just want to remind everyone that the 32for32 Project wasn’t about me…it was about my son and all the other heart kids out there who need a voice. 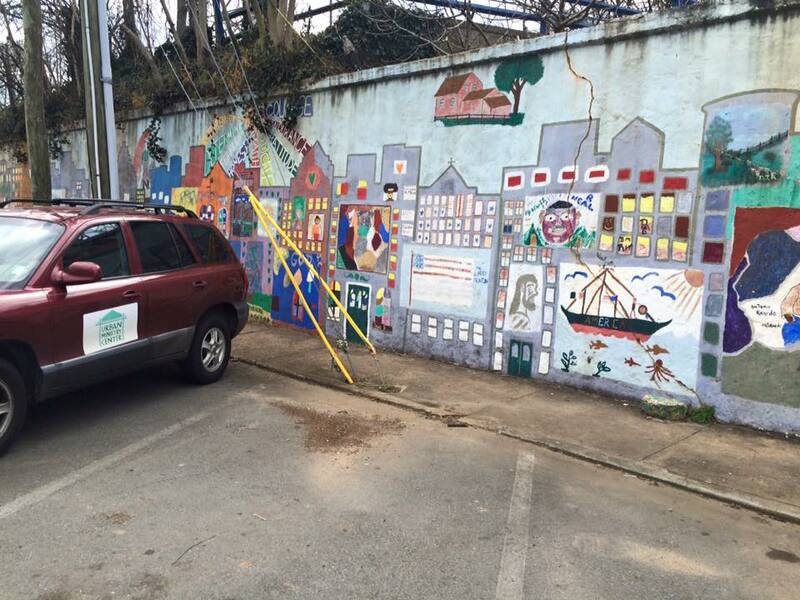 It’s about those agencies who depend upon the kindness of others to help them feed the hungry and clothe the naked. I want to encourage everyone to try their own Acts of Kindness Project for their birthday…it will really open your eyes to the needs right there in your back yard. And I am a firm believer that when you give of yourself to do kind things for others, your situations don’t seem half as bad.